want you to know to Keep Your Home! Your mortgage lender has conned and lied to you! NO one person or entity can LEGALLY foreclose on YOUR property [unless you let them], because they (your lender) do not actually have a LEGAL claim to your mortgage or note anymore, because your note was fractionalized and sold, which is now an illegal lien on your home from your original mortgage lender. We show you EXACTLY how to remove the original lender’s illegal mortgage lien, how to STOP a home foreclosure, enabling you to automatically Keep Your Home FREE AND CLEAR! There’s more… Remember, your original mortgage lender sold their mortgage-backed securities to investors, and immediately made a profit! When the mortgage and real estate markets began to collapse in 2006, more and more borrowers started to fall into foreclosure, and as more and more foreclosures started happening. It was a disaster to the banking industry, which was the lender’s own fault for trying to perpetrate the fraud, and trying to pull off one of the biggest scams in the history of this country! The mortgage bankers then went to congress and said, “Please bail us mortgage bankers out. If you don’t, we’ll go out of business and this will lead to the collapse of the financial system”. So Congress said that they really had no other choice than to immediately implement the one trillion dollar bail out with YOUR taxpayer’s money. So what actually happened? Well, the mortgage the lender or bank held was PAID in full for all the mortgages outstanding from an act of Congress, even though the bank already made a huge profit when they sold their mortgage-backed securities to investors. Yes. The lenders were paid AGAIN using YOUR MONEY for the same mortgage NOTE! NOW, the mortgage banks and lenders are being paid a 3rd time, this time with interest, by YOU, when you make your monthly mortgage payments! So your lender has already made huge profits from your loan, at least twice, and now they may be foreclosing on your home or won’t reduce your note to the current fair value of your home? Don’t you agree? Does that sound fair to you? WELL IT’S NOT! That’s why there is the Keep Your Home Private Administrative Process. We provide you with a Legal and Lawful, Very Simple, 5 Step Process that will allow you to STOP mortgage lenders dead in their tracks if they’re trying to foreclose on your home, or ANY property for that matter, enabling you to Keep Your Home FREE and CLEAR, by LEGALLY satisfying your loan with a little know, proven process, WITHOUT PAYING THEM ANOTHER DIME! Do You need to Prevent Foreclosure To Keep Your Home? Our Proven, Simple 5 Step System can EASILY prevent foreclosure for You! If you are already in Foreclosure, then You MUST Stop The Foreclosure Process Right Away! YOU can VERY EASILY accomplish this using the (fill in the blank) Stop Your Foreclosure Letter that is included in Your Keep Your Home Package. This letter should IMMEDIATELY STOP Your Foreclosure, citing precedent setting cases that will ensure positive results. Is Keep Your Home REALLY that SIMPLE? YES it REALLY is! 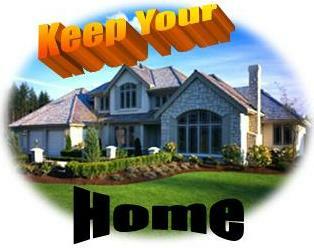 The Keep Your Home package has all the letters and forms you will need to Keep Your Home. Although the information we provide to you has been a fiercely guarded secret by the banking community. Now ANYONE, yes even YOU, can do this using our Proven, Simple 5 Step Process. This is a Legal and Lawful Process that 100s of home owners have successfully used all over the country to Stop Home Foreclosure, Remove The Lender’s Mortgage Lien, and Keep Your Home FREE and CLEAR, and NOW SO CAN YOU! They simply followed our Proven 5 Step Process. YES, ANYONE CAN EASILY DO THIS… INCLUDING YOU! Right from the comfort of your own home. Don’t waste YOUR time trying to get a Lender Loan Modification, or Short Sale and ruin your credit, because you’ll need your bank’s approval for them. Do YOU know anyone that has ever gotten a permanent loan modification or made any money on a short sale besides the Realtor and the bank? Keep Your Home is 100 Times BETTER and it WORKS!